If you are a golf tournament organizer looking for some golf tournament invitations to invite more people to present. This invitation template is accurately what you want. With the based golf photos, it will highlight the theme. You can make your own designs by turning the default information into yours. 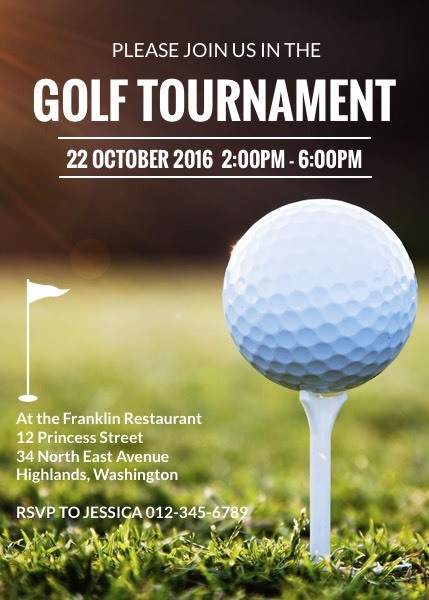 Though the template is geared towards golf invitations, it is also available to make other sport themed invitations.